This program is a simple tool used to work with computer serial ports. You can select the port, baud rate, data bits, stop bit, and parity. You can directly forward data to another serial port that is very useful for logging serial connection data and debugging your applications, to do this you need a pair of virtual serial ports connected together that can be made by any virtual serial port software like com0com. You can send data as ASCII, HEX, or decimal. 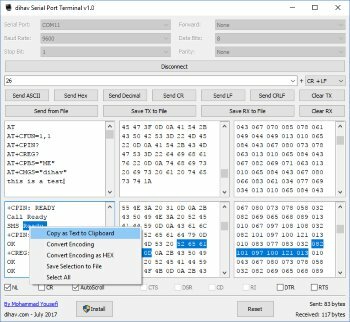 You can also send data from a file and save any part of the sent or received data to a file. 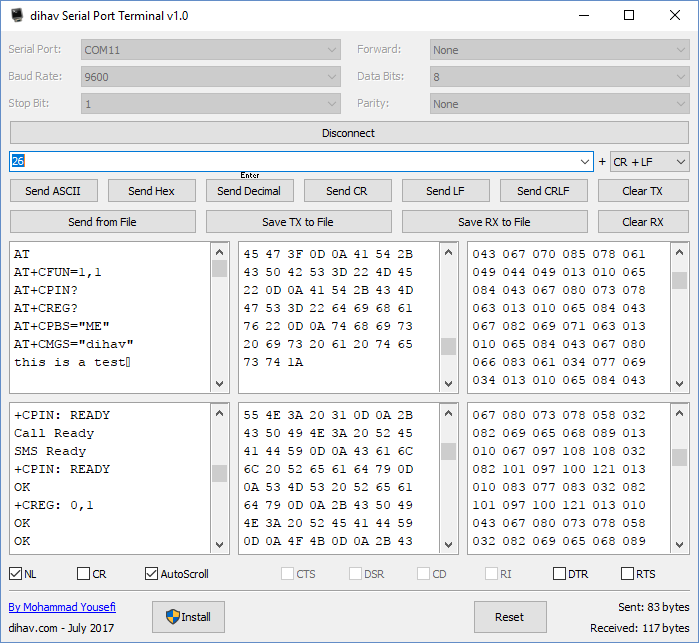 The sent and received data displayed as ASCII, HEX, and decimal. Selecting any part of the data in any viewer causes the data to be selected in other viewers. 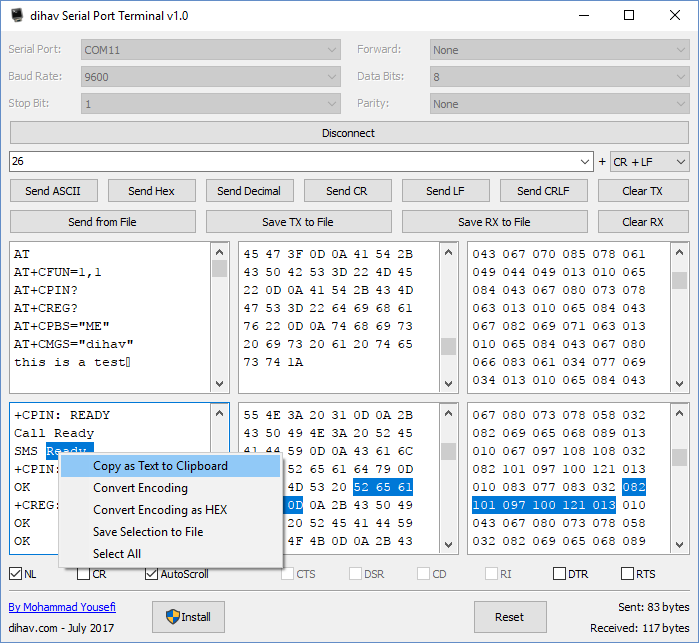 It displays the data as ANSI, Unicode, or UTF text by selecting any part of the data, right-clicking on it, and choosing "Convert Encoding ..." form the context menu. 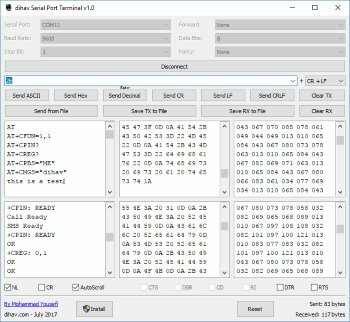 I worked with a lot of serial port terminal software and none of them satisfied my needs in my electronic projects, so I made this program and I believe that it is useful for you too. This program can be used as a portable app without installation, or can be installed on the windows. This program is made by Delphi XE 10 Seattle. If you want to buy the source code, click the below link to add it to your shopping cart. After making the payment the source code will be sent to your email address in 2 days.